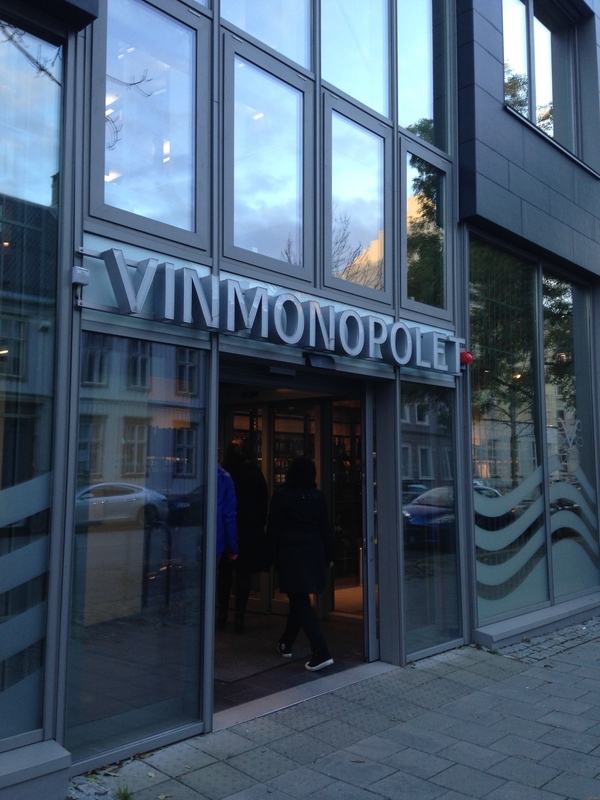 This past week I made my first stop to the wine monopoly, or vinmonopolet. 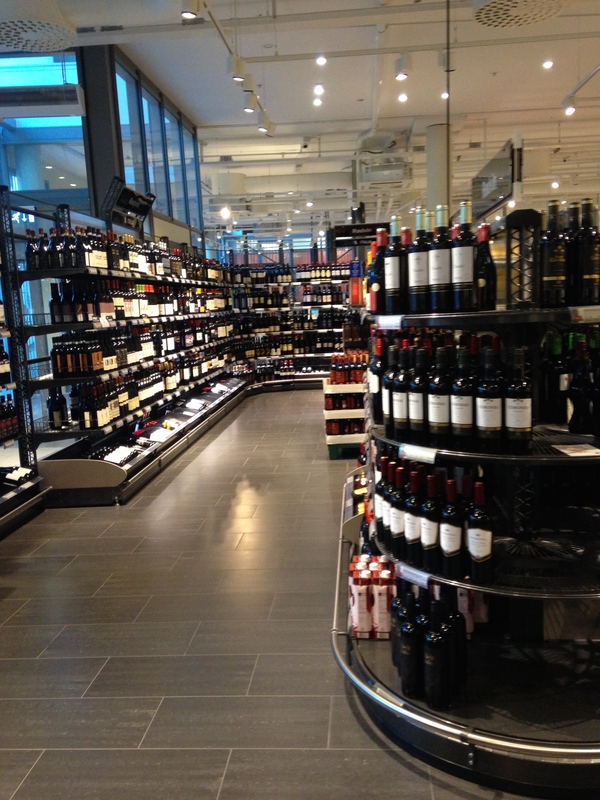 Alcohol in Norway is prohibitively expensive and also more tightly controlled than it is in the United States. All drinks that have an alcohol content higher than 4.7% (strong beer, wine, and liquor) are exclusively sold in the vinmonopolet. 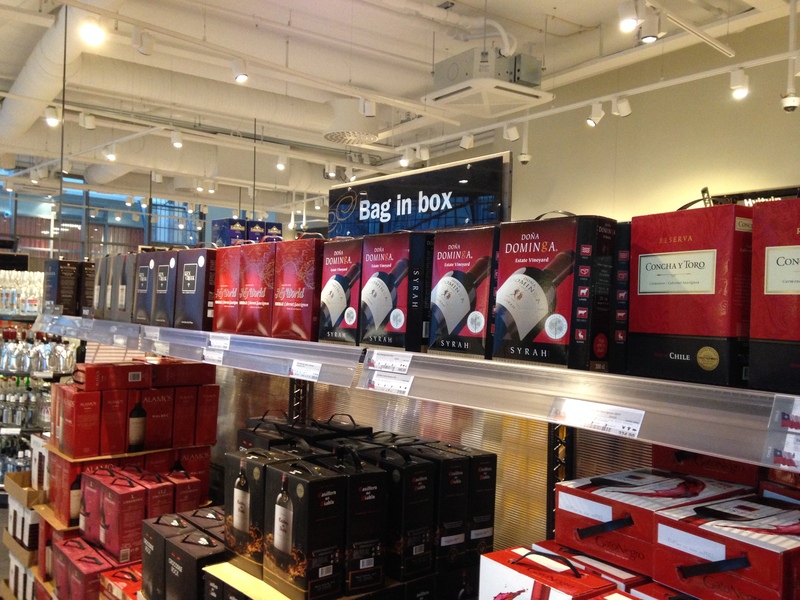 And now I can finally answer the question of how much a bottle of wine at the store actually costs here in Norway. To be frank, when I went to the vinmonopolet I was really just looking for a decent bottle of red wine to give as a thank you gift. Because I was in a bit of a hurry I didn’t spend too much time in the vinmonopolet, but from what I could see the cheapest wines were around 90 NOK (13 USD), with most wines being in the mid-100 NOK range. It’s been a bit of a shock to find wine that I was formerly able to buy for 5 USD at nearly double or triple the price. I didn’t peruse the liquor too carefully, but it seemed like most prices were approximately what you would find in the US if not a bit higher. My dear Elizabeth, Your ponny ridding story is so great that even on rainy wet, hard trails and physical pain seem so much fun to read. Love you,sweet heart .